I’ve recently written my thesis, entitled ‘The way women are represented in South African media and how this negatively affects the way in which they perceive themselves.’ It took ages, was a huge shlep, but it’s done and I’m proud of it. For the next 6 months, we’re spending our time coming up with design solutions for our thesis. I’ve decided to concentrate on teenage girls, and started looking for a brand that I’d be happy to associate myself with. Round about the same time, there was a bit of a drastic event taking place in the States – Seventeen Magazine US had pledged to stop photoshopping girls’ faces and bodies – a huge jump forward in promoting a healthy body image for young girls. You currently sign their pledge here, or the SA Seventeen magazine pledge here. 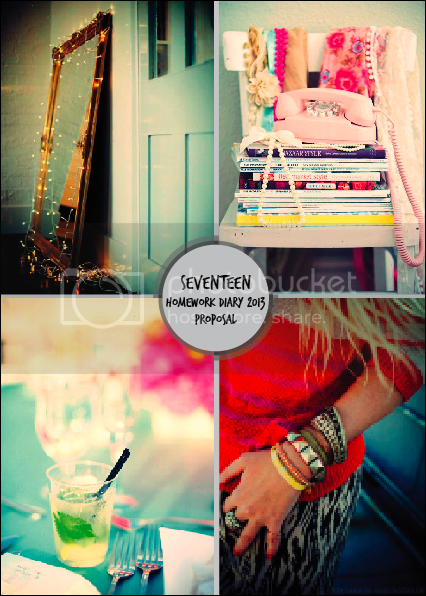 I decided that I wanted to align myself with the Seventeen Mag brand for my Btech project. I had interned at Seventeen magazine for a week when I was 16, so I was already familiar with them. 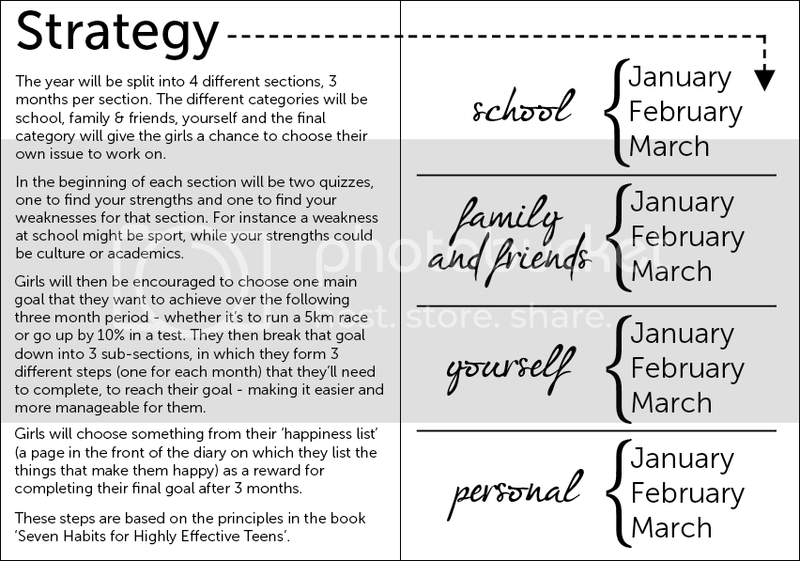 I was aware that they included a homework diary in their December issue every year, and thinking back to my own obsession with homework diaries in high school (here & here) I thought that I’d take a crack at re-envisioning what a homework diary is supposed to be. Now in order to not be one of those numerous bloggers who like to portray a fake sense of perfection to their readers, I’ll let you know what’s currently on the cards with this project. I’m basically wanting to create a sort of ‘work book’ of sorts, that gives teen girls the tools to better themselves. 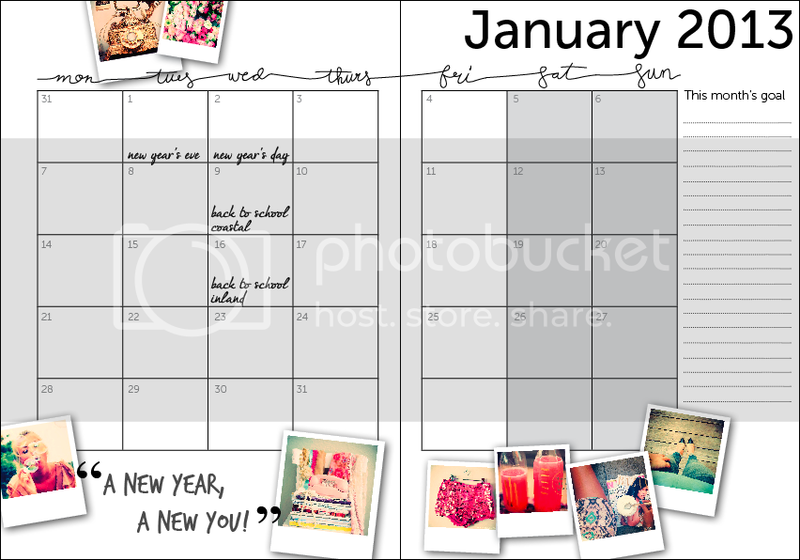 I’m waiting to find out tomorrow if I’ve got the ‘job’ to do the 2013 diary for Seventeen. They were worried that I don’t have enough experience when it comes to the background work of setting documents up to print, etc. However I do have quite a bit of knowledge about printers and such, a knowledgeable friend who designs Art South Africa magazine and am completely willing to learn, make mistakes and right them again. I wanted to share this journey on my blog, because it’s going to form a major part of my life for the next few months. I’m so excited to get designing and start making a difference. Just on a side- note, weirdly, my favourite blogger/designer, Bri Emery – of Design Love Fest and Blogshop – posted about How to pitch your dream project. It came a few days too late, but I still loved reading it and will take the advice to heart for future endeavours. This entry was posted in Uncategorized and tagged Btech, creative, diary, seventeen magazine on August 26, 2012 by Britney Beeby.